5f999ceca8b79e1616fac8d7eedc39c4 The Snyder Family: Friday Favorites: This and That Edt. Woo hoo! 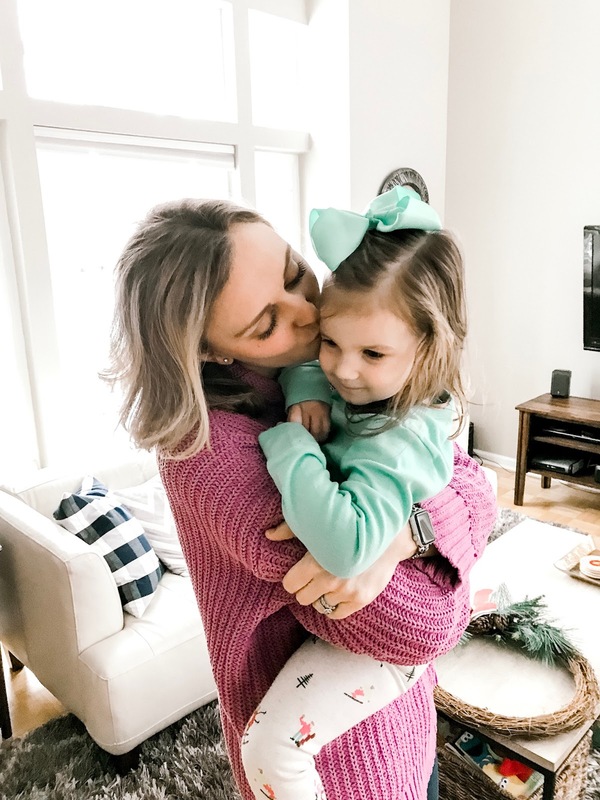 Time for another Friday Favorites, this week I'm sharing a random assortment of photos from our week and some things we are currently loving. The weather in Chicago is COLD, icy and snowy, poor Isla has come down with another virus and we are just hoping to enter the weekend with three healthy little ladies. One: I was able to snap a few photos of Isla this week, I'm hoping to have a few photo sessions within these next few weeks instead of hiring a professional this time around. Let me tell you, as if we all didn't already love and respect out favorite photographers, taking photos of a BUSY almost one year old is a full body workout! Three: If you are looking for a way to beat "Cabin Fever" I highly recommend finding somewhere where you can take the kiddos to SWIM! We signed-up Avery for swim lessons through our local YMCA and while she takes the lesson, Scott swims with the other little ladies and it is such a highlight of our week! We are also amazed at how far Avery has come with her swimming, she can tread water AND is even starting to learn the front crawl/freestyle, we just love watching her! Mom Tip: We bring the girls pj's, give them a quick shower in the family locker room, put on their pj's, that way when we get home, it's time for dinner and off to bed they go! They always fall asleep in a snap after a full hour of swimming fun, everybody wins! Four: I may just be OVER these cold Chicago winters, but I am already dreaming about summer and our upcoming Disney trip in May! Have you seen the ADORABLE swimsuits that Target already has out for the littles? I could just scoop-up one of each they are SO cute! Speaking of swimsuits, where is your favorite place to shop swimwear for yourself!? I had the best luck with Target last year and also ordered a two piece from the brand Cup She off of Amazon, which I also liked, but was a little skimpy in the rear area ;) Linking some of my favorite Mommy & Little Lady swimwear below! Five: Let's talk The Bachelor! Who are your front runners? I think Hannah (non pageant version) and Cassie seem super sweet and I'm am SO wondering what the beef is between the two beauty pageant ladies! I was thinking I was team pageant Hannah, until that super creepy growl she did at the pool party!? I can't help but to think the two of them just don't get along and it's really nothing more serious then some girl drama!? Also, seeing the contestants ages on their interviews is making me feel like an old lady. 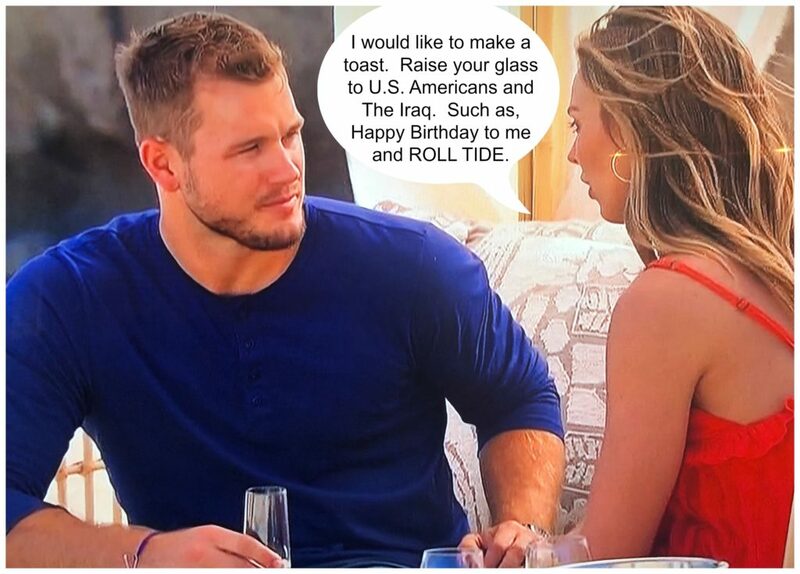 Do you read Sheaffer Told Me To Bachelor recaps, they always make me giggle! One of my girlfriends also told me about the Podcast Rose Pricks, which is definitely NOT kid friendly, but also provides a good laugh! Have the BEST weekend, I'm so excited to share some awesome posts on my blog next week, I'll be sharing a brand new Coffee Chat series featuring another amazing Mama! Can't wait for you to meet her, let me know what you're up to this weekend in my comments, see you next week! Thanks for giving us all a great laugh Sheaffer! I know my girlfriends and I would love to eat tacos and chat Bachelor with you, thanks for stopping by! Oh my goodness; you got some really adorable shots already! But, yeah I totally agree that photographing toddlers takes monumental effort. Right! I took SO many photos and only a handful were in focus because my little lady was moving around like crazy. Luckily my Mom was over to catch her if she went crawling off the bed, ha! That's why we pay the pros :) Happy Weekend! What a fun week! Photographing toddlers is quite the task! The cart organization post is SO GOOD! So many great tips! Hey Mary! I'm so glad you found the organizing post helpful, I'm setting up a new version of the art cart for my little ladies today, it's getting down to -23 in Chicago today! Stay warm! Look at sweet Isla! I hope all your little ladies feel better. The germs are just out of control lately and making me wish for spring even more. We LOVED our swimming lessons and hope to start back up soon -- you're so right, not much else tires kids out like a good swim before bed! I used to read those Bachelor recaps and need to start again. I can't really get into this season for some reason (not that that will prevent me from watching, haha). I feel the same way about the Bachelor and I kind of feel that way every season, does that mean I'm getting too old to watch!? Ha! I think the little ladies are finally feeling better, one more day of rest and we should be good to go, hopefully January takes the germs when it goes! Love your recommendation for swimming in an indoor pool- I will be looking into that! 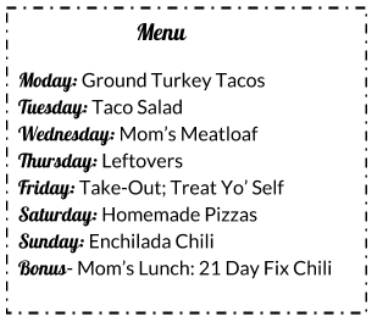 Awesome meal plan too- thanks for sharing! Hey Holly! Swimming is such a great winter activity, it's literally -25 here today and we are all going stir crazy! Dreaming of warm weather, hope you're having a great week! OH my goodness your art cart is exactly up my alley! I LOVE it and can't wait to see how you style it for other holidays. Hey Jaclyn! The art cart is SO fun, the girls and I could do art all day long! I'll have to share other ways I set it up for the little ladies, happy Tuesday! I love my 3-tier cart! It was a birthday present a couple years ago and I use it to store all my accessories, it's so useful and cute! That's such a great use for it too! I feel like I could own a cart for every single room, they make sure great storage AND they are cute, thanks for stopping by, hope you're having a great week!